‘In Transition 2.0’ is nearly ready to be unveiled to the world! We are very excited about this inspiring reweaving of the Transition story, and want to tell you more about it here, and about how it will be rolled out over the coming months. To get us started, because we are so excited about sharing this with you, here is the film’s trailer, completed just yesterday, directed by Caspar Walsh. 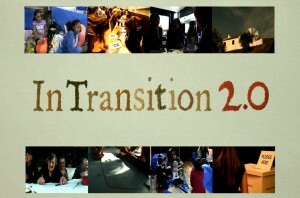 “In Transition 2.0 is an inspirational immersion in the Transition movement, gathering stories from around the world of ordinary people doing extraordinary things. You’ll hear about communities printing their own money, growing food everywhere, localising their economies and setting up community power stations. It’s an idea that has gone viral, a social experiment that is about responding to uncertain times with solutions and optimism. In a world that is awash with gloom, here is a story of hope, ingenuity and the power of growing salads in unexpected places”. It has been produced by Emma Goude, with animation by Emilio Mula, photography by Beccy Strong and with stunning original music by Rebecca Mayes. They have drawn together stories from around the world showing Transition initiatives at the various stages of transitioning their communities. In order to be able to feature some of the stories from overseas, they ran a crowd-funding process which raised the money required. An international team of volunteers have translated the film in 18 languages. Also, in spite of telling stories from around the world, no-one set foot on an aeroplane in order to make this film, local camera-people being enlisted to film each non-UK sequence, making this one of the lowest-carbon international films ever produced. The film captures stories of Transition from around the world. You’ll hear about Transition Wayland in the US, and their very first meeting, how Transition Moss Side in Manchester have sought to raise awareness and engage the community by knocking on the area’s front doors, the amazing community visioning work of Aldeia das Amoreiras Sustentável (sustainable village of Amoreiras) in Portugal, how the Whitney Avenue Urban Farm in Pittsburgh has had a remarkable impact on the people around them, how Transition Kensal to Kilburn have set up the first food garden on a London underground station and how Transition Town Tooting‘s Trashcatchers’ Carnival, London was a remarkable and very memorable celebration of community and of taking care of the Earth. You’ll hear about the difficulties of doing Transition too, with the story of how Transition City Lancaster initially fell apart due to conflict but has since risen from the ashes and is now busy with a range of projects, and how Transition groups in London come together to support each other so as to minimise burnout. You’ll hear the story of Transition Monteveglio in Bologna, Italy and their very successful collaboration with the local council and a ground-breaking resolution, committing the council to deep sustainability and resilience-building. There’s Transition Streets from Totnes in Devon which works street-by-street, getting people together to meet, form new connections, and reduce their carbon footprints. And then there are the emerging social enterprises, The Green Valley Grocer in Slaithwaite, Yorkshire which raised shares from the community to take over the local grocers which was closing down, The Handmade Bakery, also in Slaithwaite, a really innovative model for how a young couple can set up a vibrant new business. They also make exquisite bread. There’s The Fujino Power Company, Japan, where, following the devastating tsunami and the Fukushima nuclear disaster, members of Transition Fujino responded by setting up a community energy company, with the intention of powering their whole valley using renewable energy. There’s The Lewes community solar power station, in Sussex which was funded by over £300,000 raised in community shares, and the Brixton Pound in London, the local complementary currency which can be spent in the area of Brixton in London with local traders – “money that sticks to Brixton”. We join them on the night they celebrate launching the UK’s first mobile phone-based complimentary currency. We visit Heal the Soil CSA in Auroville, India, who help people start up small vegetable gardens in the rural villages of India, providing seeds and permaculture training in order to help them get started growing food, and Project Lyttleton in New Zealand, who employ Transition as one of the tools for their work building community resilience. When the recent earthquakes struck Lyttleton, the value of their work, especially its Time Bank, became apparent. Totnes. The Barn Cinema, Dartington. February 2nd, 8pm. Tickets available here. Koganei, Japan. Transition Japan and Transition Town Koganei in Japan will be hosting a screening on February 2nd at 8pm at the Maron Hall in Koganei (30 minutes west of central Tokyo). Lewes. Lewes Town Hall (BN7 2DQ). February 2nd, 8pm. More information available here. Further preview screenings will be announced via Twitter (@intransitionmov) and on the film’s forthcoming website. We have invited each project to organise a screening which tells a story, stories which we hope some of them will subsequently tell as part of Transition Network’s Social Reporters project. The premiere of ‘In Transition 2.0’ will be at a high profile event in late March which is still under wraps but which will announced as soon as we can. 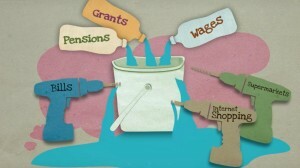 Emilio Mula's 'leaky bucket' animation, one of several animated sequences in 'In Transition 2.0'. Unlike ‘In Transition 1.0’, the DVD of the film will be released around the time of the premiere. This time it will be a single disc DVD, beautifully packaged, and Transition initiatives will be able to buy discounted copies in bulk to sell at their screenings and other events. The DVD will also be available to buy singly on the film’s website. It will feature the following subtitles, all of which have been done by volunteers in their respective countries: Albanian, Basque, Croatian, Dutch/Nederlands, Finnish, French, German, Greek, Hebrew, Hungarian, Italian, Japanese, Portuguese, Romanian, Serbian, Spanish, Swedish, Turkish. Following the premiere, the film will be available for screening by organisations, community groups, Transition initiatives, cinemas and businesses. There will be a sliding scale for screening licences which we hope will make screenings possible for everyone. More information on this will follow. We hope Transition groups will use the film as the centrepiece of inspiring events, and that they will also be able to generate some income through sales of the DVD, which will also be a great resource for giving to local politicians, schools and so on. This film is a rich celebration of the work of Transition initiatives around the world, make your screening a celebration of what your Transition group has achieved so far! The new website (coming soon) will also have space for you to tell the stories of your screenings. After the premiere, it’s over to you, make it yours, spread it far, deep and wide! To keep up to date with screenings, news, stories and information, follow the film on Twitter @intransitionmov and very soon a dedicated website, www.intransitionmovie.com will be launched, for now there is a holding page. 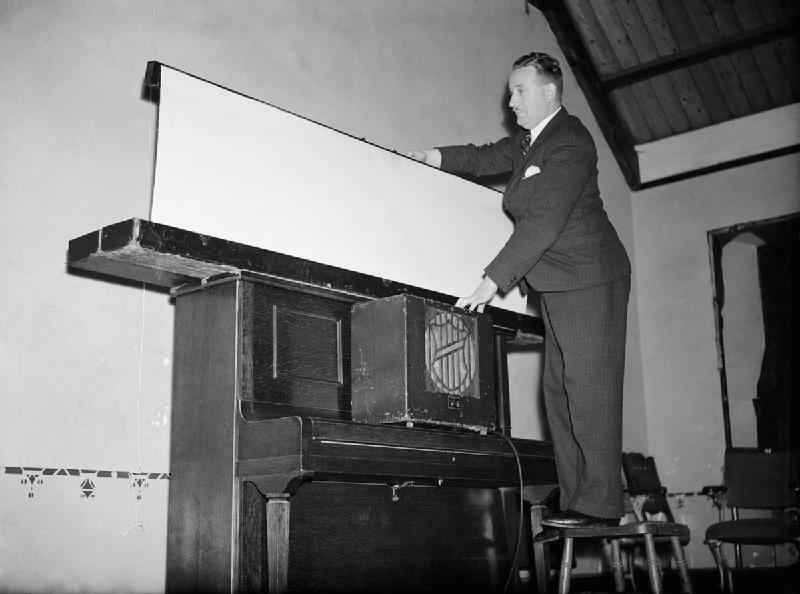 The film is around 68 minutes long. Looks like a great educational and inspirational tool to share. I will want to distribute the DVD and also use film and any other material concerning transition for the community I live in. Hi Paul, we’re working on it! The trailer looks great! I haven’t been this excited about a film since Star Wars Episode I came out . . . And I know for a fact that Jar Jar Binks won’t be in this! The time feels right for the new film, and I love the international flavour of the trailer. I would like to know if the Transition culture has moved at all on the question of nuclear energy or if the several hundred groups noted in the trailer to this film are all 100% anti-nuclear and do not wish to learn about nuclear energy. Is it ever conceivable that the Transition culture would change to include nuclear power or is that out of the question? I am wondering where the movement is heading and what its contribution to society will be long-term. Clearly there are some great initiatives. How will they translate into a world which is not going to give up dense forms of energy?